Week 22 Take A Stitch Tuesday http://pintangle.com/tast-faq/ was similar to one we had before but with a knot added. 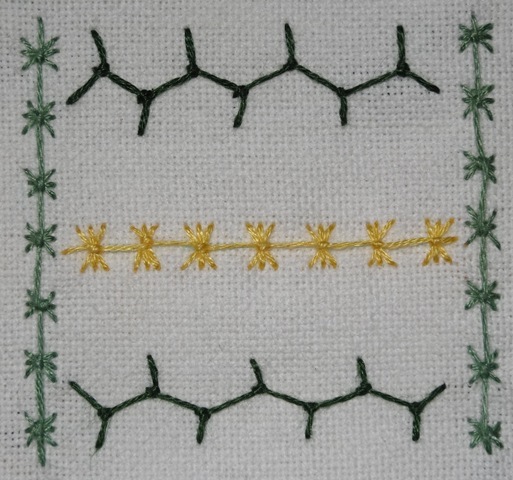 It was called Knotted Cretan Stitch. Since this was a 5th week in the month I added it to my 4th week. 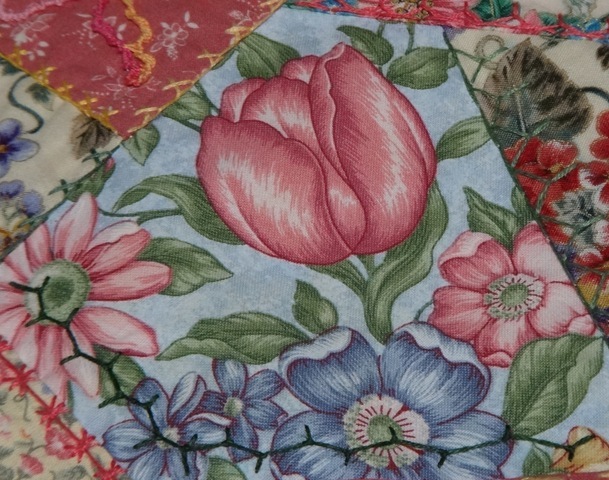 I have been doing my Crazy Quilt Journal Project block in four quarters so since I had a fifth weeks stitch I added it to the center of my May Block. 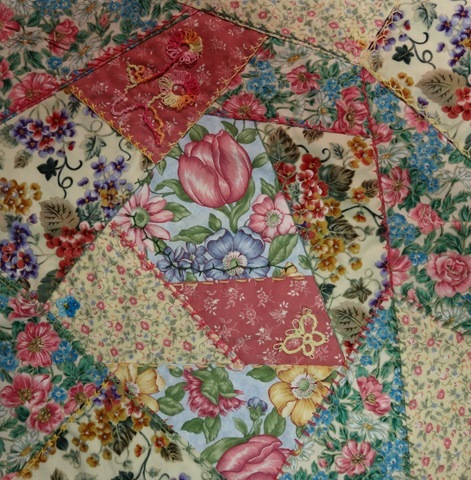 My May Crazy Quilt Journal Project is finished! 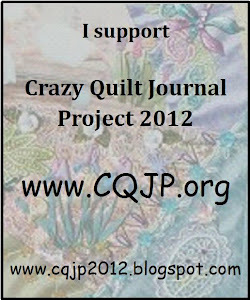 http://www.cqjp2012.blogspot.com/ I like the spring feel of my flower block with its tatted flowers and butterfly. This entry was posted in Butterfly, CQJP, flowers, Knotted Cretan stitch, May, TAST, Tatting. Bookmark the permalink.